Emerson Woods is a welcome retreat from the suburban development that surrounds it. 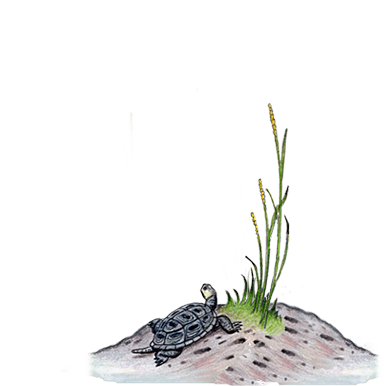 Visitors to the property can enjoy a maturing forest that provides food and shelter for over a hundred animal species, as well as a protective filter for the nearby water supply. 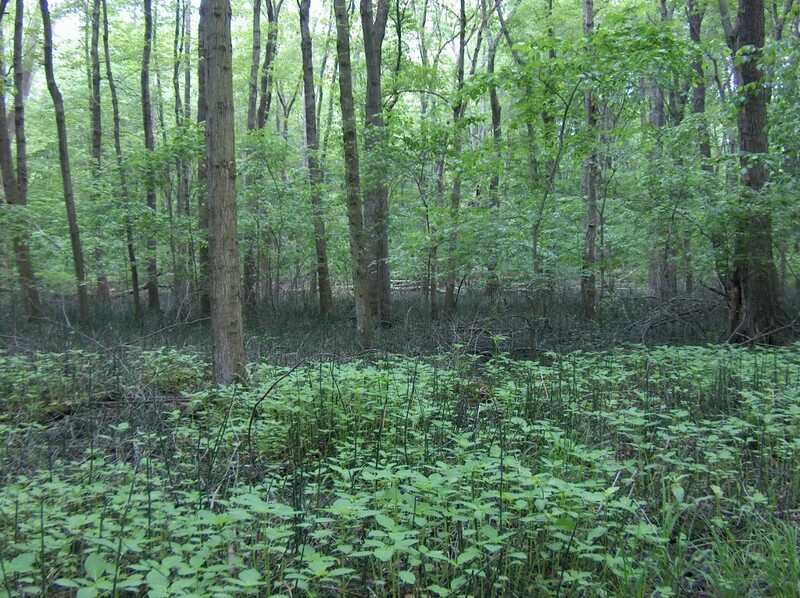 Emerson Woods is second growth forest. Whatever remained of the original wild landscape was probably gone by the late 18th century, when the property was used for agriculture and grazing. Although no deeds exist from that time, the land was likely owned and farmed by Petrus Debaun, who inherited it from his father in 1765. Debaun’s revolution-era home still stands (in remodeled form) on the ridge opposite the preserve’s main entrance, where it now serves as a post for the American Legion. It was Petrus’ grandson, Hendrick, who had Main Street laid out by surveyors in 1856. Portions of the road had existed as farm lanes for many years. It is likely that the property continued to be farmed into the early 20th century, since land surveys from that time reveal a treeless tract. A 1913 Bergen County atlas showed two homes on the property, the foundations for which still exist, along with an abandoned well. One of the homes was owned by a gentleman named Lucie, perhaps Gustav Lucie, who served as Emerson’s third mayor. It may have been Lucie who created the old pasture watering hole, which now serves as a vernal pond for wildlife. 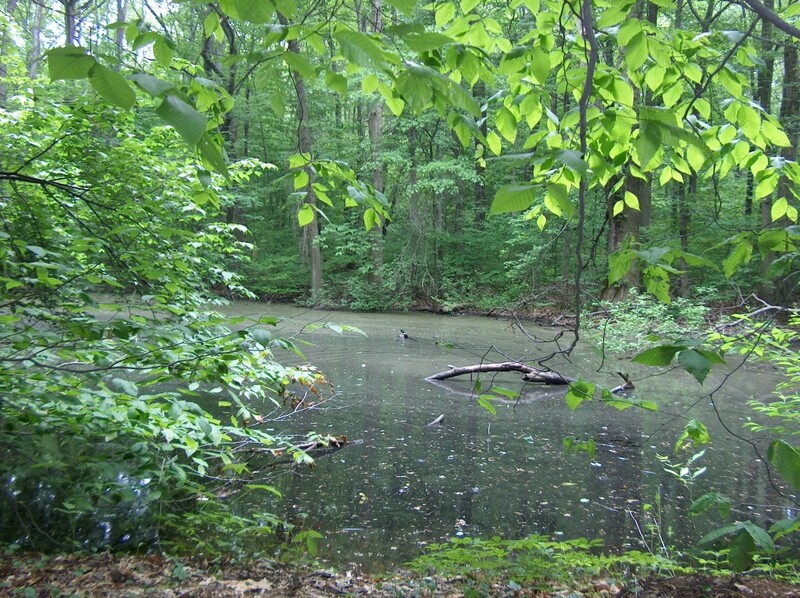 The growing need for a large public water supply – the result of a building boom in northern Bergen County – indirectly led to the return of the forest to Emerson Woods. In 1920, the Hackensack Water Company (now United Water New Jersey) embarked upon a major enlargement of what was then a rather small Oradell Reservoir. At the same time, the water company began buying up properties all along the expanded reservoir to provide a protective buffer for the new water supply. These included several parcels of land that today comprise Emerson Woods. No longer vulnerable to human disturbance, the property was free to follow its natural course. By 1940 it had become open woodland and by 1950 it was a well-established forested tract. 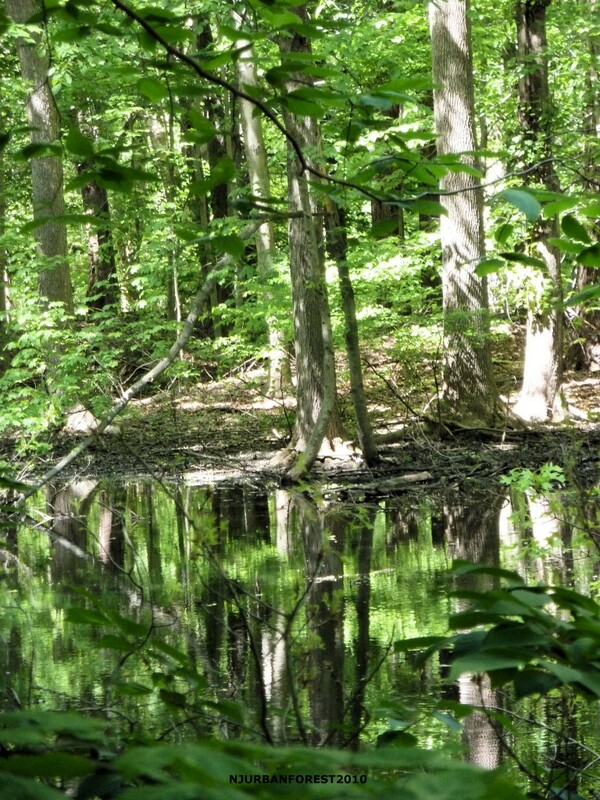 Over sixty years later, it is still thriving as the Emerson Woods Preserve. 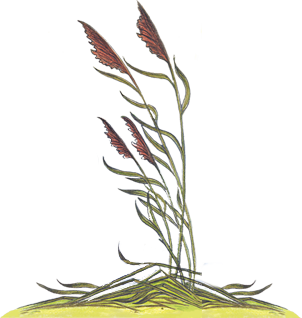 The Borough of Emerson gave the Meadowlands Conservation Trust a Conservation Easement for Block 1301, Lot 3.04 on September 24, 2002.